Puppy in a Box Happy Birthday 4" Bobble Head Figurine. Love is a four legged word! 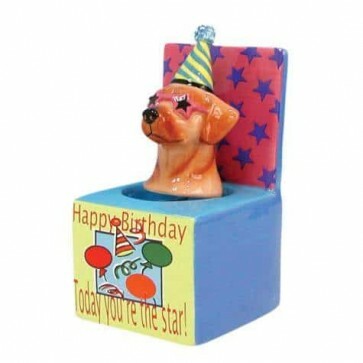 Show your puppy love for someone by getting them the Puppy in a Box Happy Birthday 4" Bobble Head Figurine.